Icing-filled cupcakes? Jam-filled muffins? 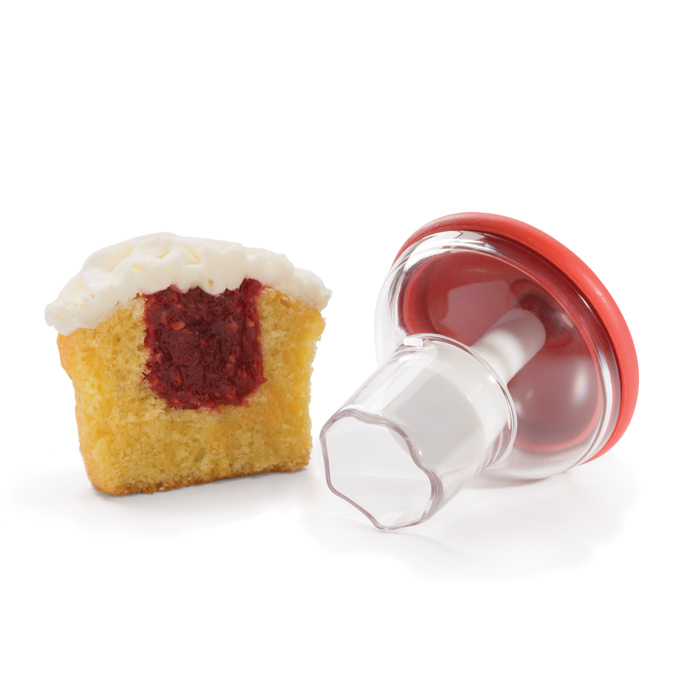 The OXO Good Grips Cupcake Corer is perfect for removing the center from cupcakes and muffins. 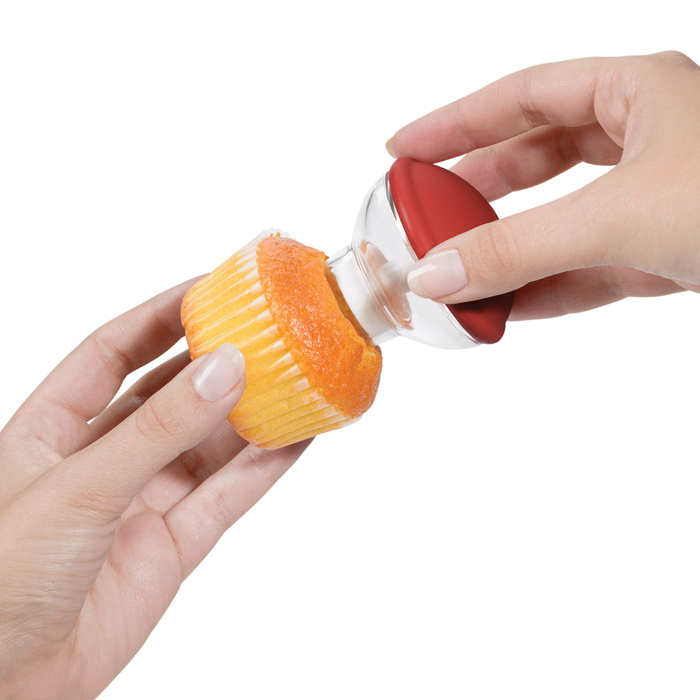 The hand-held tool easily cores the center of little treats and ejects the center in one piece, so you can cut it in half to top off the cupcake. 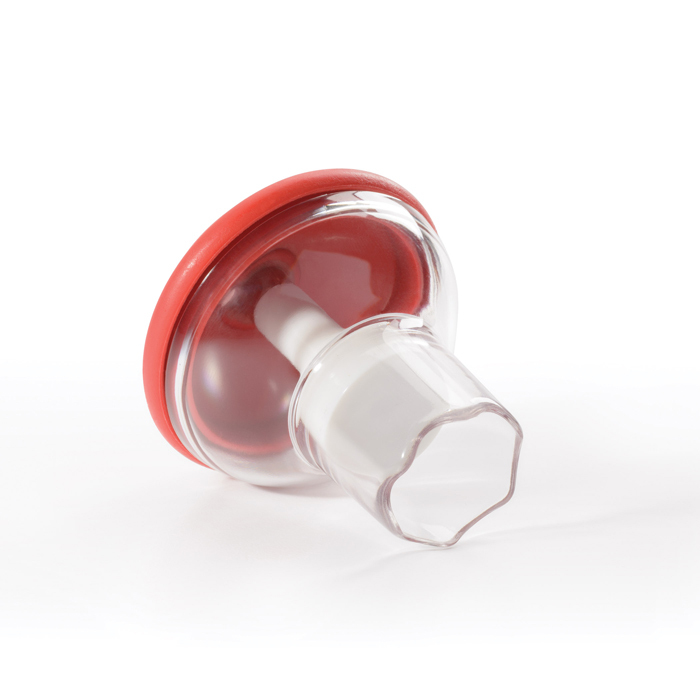 The soft, non-slip grip is comfortable, even during repetitive coring, and the large handle makes it easy and fun for kids to use. 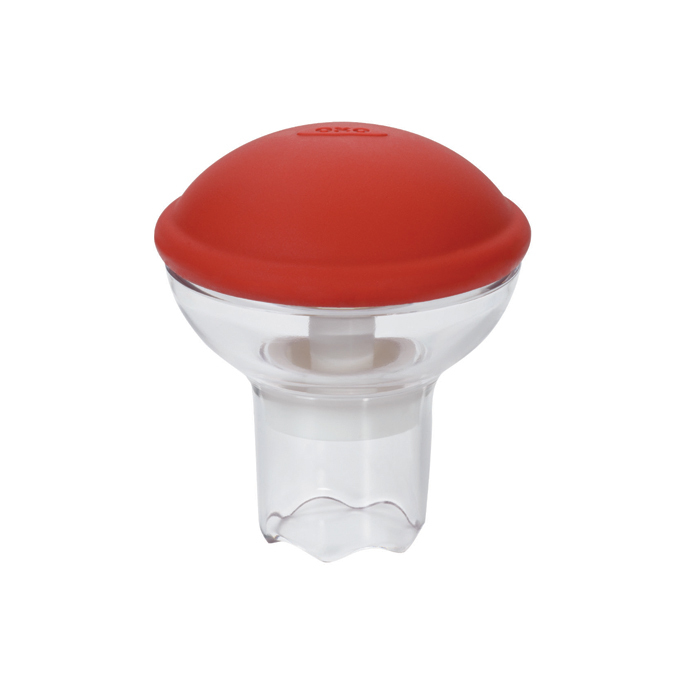 The Corer comes apart for cleaning and is dishwasher safe.